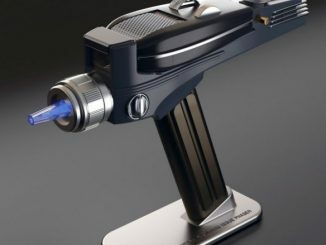 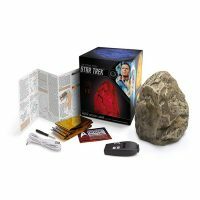 This Star Trek Phaser-Controlled Rock Mood Light is based on “The Enemy Within,” an episode from the first season of Star Trek The Original Series. 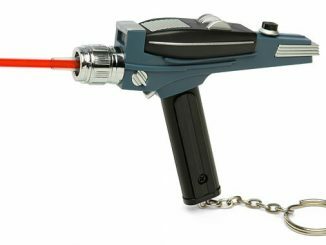 In the show, the landing party is stuck on a planet and they survive the cold temperatures by heating rocks with their phasers. 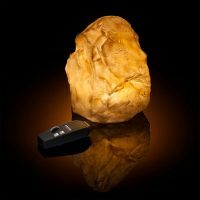 Superheating the rocks with phaser blasts cause them to glow. 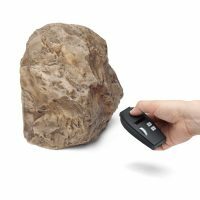 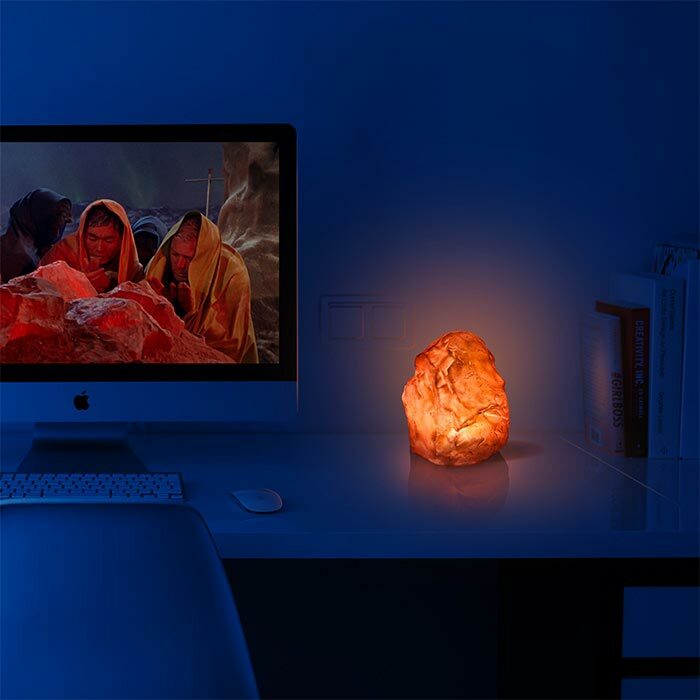 Thankfully, this rock mood light uses an energy efficient LED, so it doesn’t generate much heat. 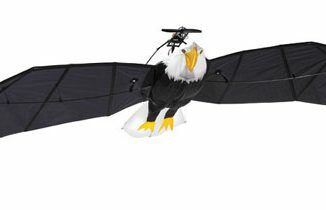 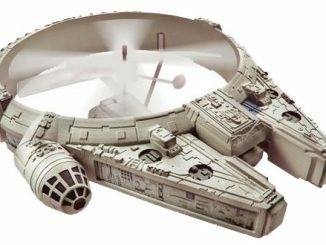 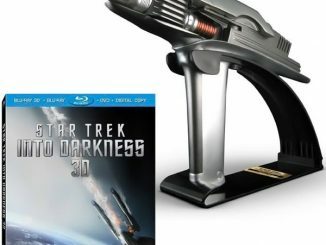 It makes awesome light effects, which you control with the “phaser” remote. 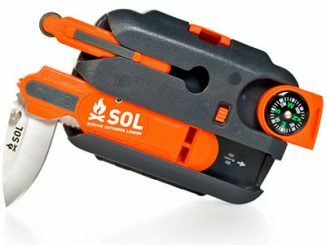 Recreate the scene from the show in “Survival” mode, where pulling the trigger makes phaser firing sound effects and makes the rock glow red as if you are heating it. 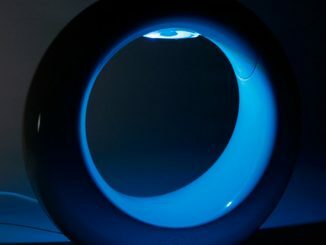 Switch over to “Atmosphere” mode for a light show that has multiple modes and 7 different colors. Depending on your settings, it makes a terrific mood light or party light. 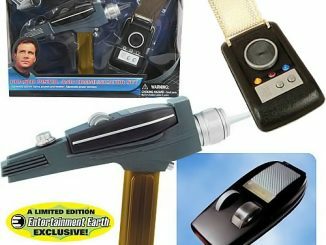 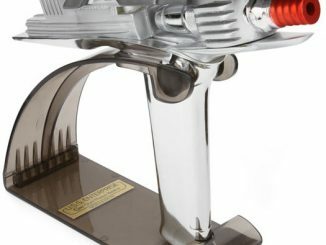 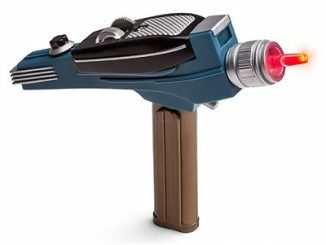 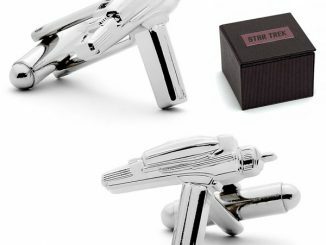 Buy the Star Trek Phaser-Controlled Rock Mood Light for $69.99 exclusively at ThinkGeek.